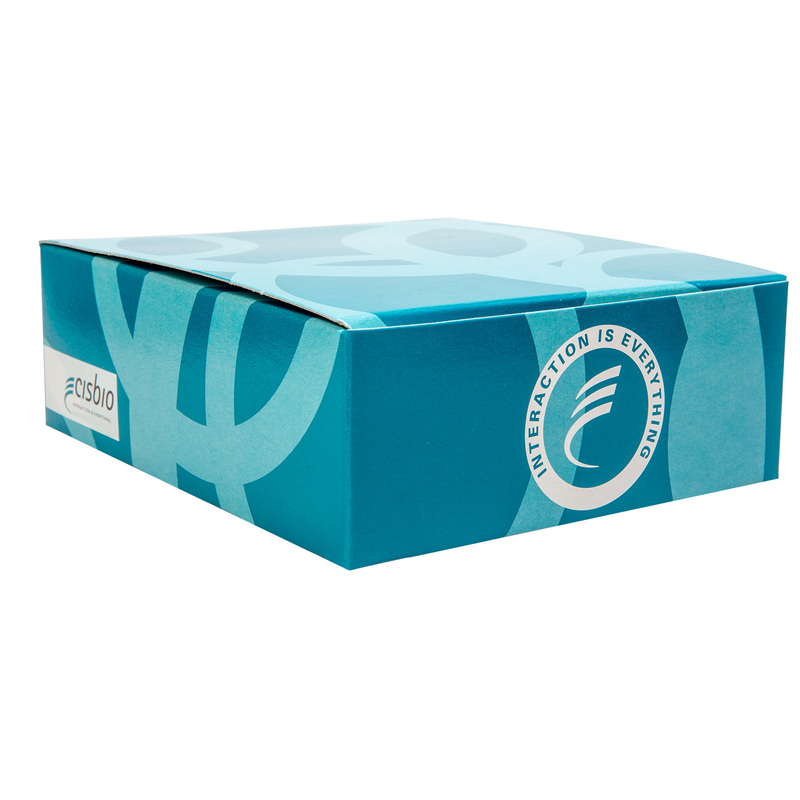 The CD16a cellular binding kit is designed for monitoring the binding of the IgG Fc region to the human CD16a receptor on live cells. The CD16a (FcgRIIIa, V158) cellular binding assay is a simple and robust test to monitor binding of the IgG Fc region to the human CD16a receptor in live cells and to select the most potent antibody for use in Antibody-Dependent Cell-Mediated Cytotoxicity (ADCC). 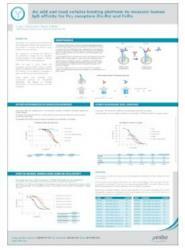 The assay can also be used to assess the degree of antibody afucosylation. Two separate CD16a assays are available to specifically target the V158 or F158 variants. These assays, based on our innovative Tag-lite technology, can easily be automated to create a high-throughput solution for predicting ADCC. The CD16a receptor cellular binding assay is a competitive assay involving HEK293 cells expressing a specific CD16a variant conjugated to Lumi4-terbium Cryptate, and human IgG1 labelled with d2. The unlabelled antibody or Fc tagged drug competes with the d2 labelled IgG1 for binding to the receptor, resulting in a decrease of FRET signal. The CD16a receptor cellular binding assays (FcgIIIa V158 or F158) present only 1 incubation step after reagents distribution. Lumi4-terbium Cryptate pre-labelled cells are dispensed, followed by the addition of IgG1 labelled with d2 and the sample. After 2h incubation at RT, the signal can be read. Increasing concentrations of unlabeled IgGs were incubated in presence of a constant concentration of d2-labeled IgG1. The plate was then read on a PHERAstar microplate reader (BMG Labtech). As previously described, we confirm that the affinity of IgG1 for CD16a is better than that of IgG3 and considerably higher than IgG2 and IgG4 (Bruhns et al., Blood 2009). To evaluate the impact of IgG a-fucosylation on CD16a affinity, the same IgG with various degrees of fucosylation was tested following the previously described protocol. IgG affinity for CD16a and degree of a-fucosylation were very well correlated. These results confirm that a substantial gain of immunoglobulin affinity can be reached when the level of a-fucosylation is higher than 50%. The CD16a assay can therefore be used for the prediction of a-fucosylation degree and ADCC potential.